The other day I ran across some fabulous-looking fresh pineapples at Trader Joe’s. Of course I knew I had to figure out a recipe to utilize those bad boys! I decided on a grilled burger because the pre-fall weather has been so nice lately, and I figured we could enjoy them on our balcony. In the end, we didn’t actually grill the burgers outside, nor did we eat them on the balcony (there was a baseball game on ESPN, these are my priorities). But they turned out absolutely delish! Even though it can be sticky, I love using ground chicken for burgers because it cooks great, always super moist, and is a healthier alternative to beef. 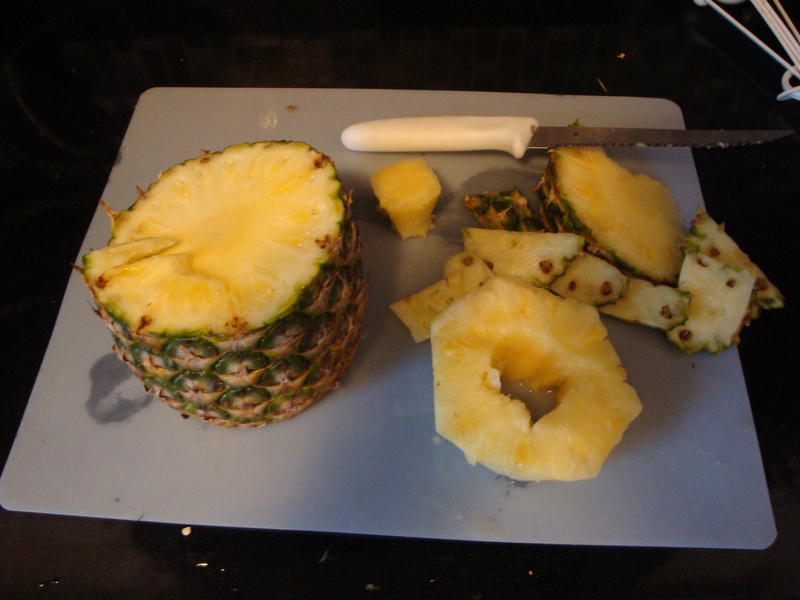 The grilled pineapple added the perfect juicy tang along with the spiciness of the paprika and chili powder. Combine the ground chicken, soy sauce, 1/2 the paprika, 1/2 the chili powder, cumin, and garlic. Lightly mix with your hands and divide into 6 even balls. The mixture will be very moist, so you might want to rub a little bit of olive oil on your hands before working with it. 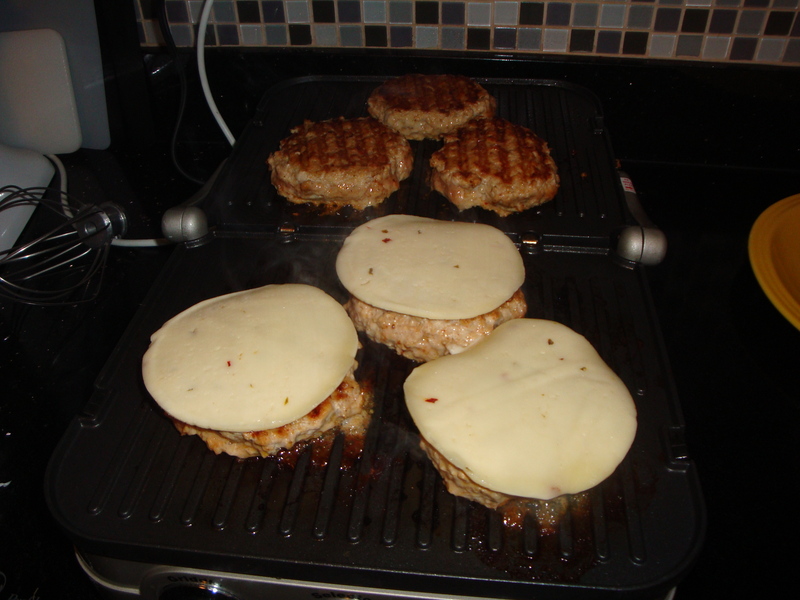 Form patties, making them slightly thinner in the middle and sprinkle with remaining paprika and chili powder. Refrigerate about 30 minutes. Preheat the grill to medium heat. Again, I used my Cuisinart Griddler for this recipe and, as always, it worked just great! Before putting the burgers on, spray the plates lightly with cooking spray. Grill burgers over medium heat about 6 minutes per side. The burgers should flip easily when they are ready to turn, if they want to stick, give them another minute. Top with cheese for the last 1-2 minutes of cooking time to melt. Remove to a plate and cover with aluminum foil to rest. Put the buns on the grill while the burgers are resting. 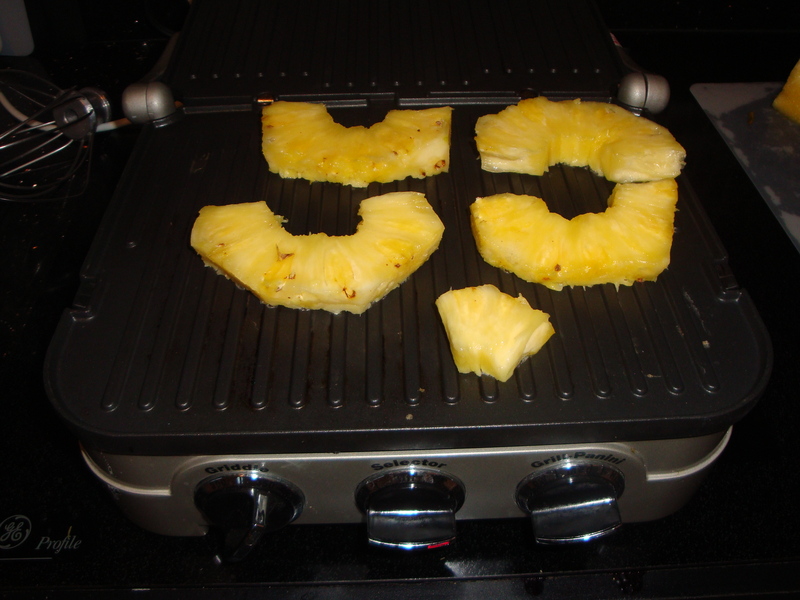 For the pineapple, grill over medium/high heat and carefully turn after 3 minutes. Assemble burgers and enjoy! I served them with some Salt and Pepper Ridge-Cut Potato Chips from Trader Joe’s, and, of course, Pumpkin Cider. The leftovers were great the next day with some chips and fresh salsa to add some more spicy kick. 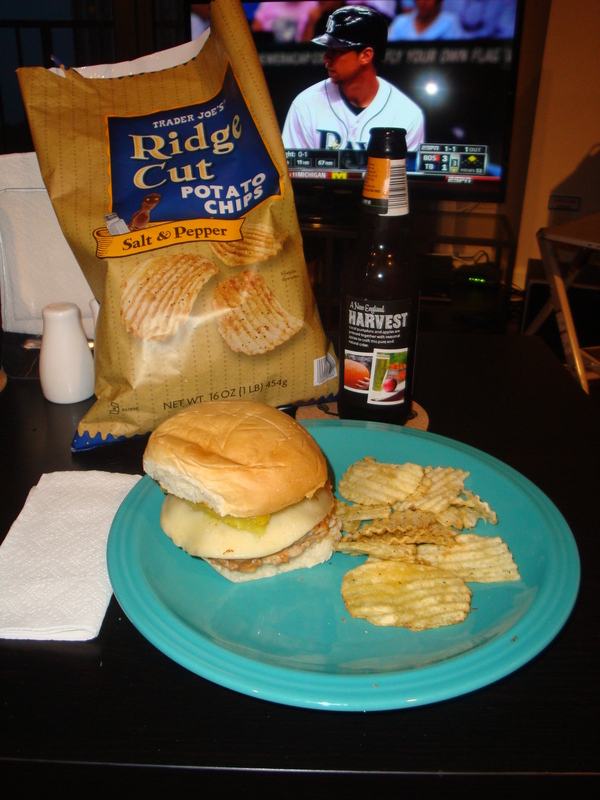 Posted on September 15, 2013 by Jilly G	• This entry was posted in Grocery Deals, Kitchen Tools/Gadgets, Recipes and tagged burgers, chicken, cuisinart, griddler, pineapple, trader joe's. Bookmark the permalink.